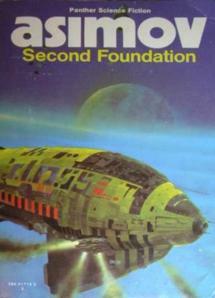 Roland Emmerich will direct a movie based on the Foundation series of novels by Isaac Asimov. The Foundation novels are a series of tales set so far in the future that Earth is all but forgotten by humans who live in a vast Galactic Empire throughout the galaxy. Yet all is not well with this empire. Its vast size is crippling to it. In particular, the administrative planet, honeycombed and tunnelled with offices and staff, is vulnerable to attack or breakdown. The only person willing to confront this imminent catastrophe is Hari Seldon, a psychohistorian and mathematician. Seldon can scientifically predict the future, and it doesn't look pretty: a new Dark Age is scheduled to send humanity into barbarism in 500 years. There is a certain irony, which Hollywood is probably too dumb to get, in the fact that the director of some of the stupidest science fiction movies ever made (Independence Day! Godzilla!) would adapt one of the smartest science fiction novels ever written! Anyway, word has it that Sony's Columbia Pictures has won a bidding war for the Isaac Asimov series of Foundation books, beating out Warner Bros. bidding for Alex Proyas to direct and Fox bidding for producer Vince Gerardis, who first worked on developing the film. Why this sudden bidding war for a batch of novels which basically have been around since the 1940s? We don’t know either. But the whirring sound you hear is no doubt Asimov himself who has been spinning in his grave since 2004 when Hollywood completely missed the point behind his I, Robot stories and fucked them up (sorry: there is no other way to put it).